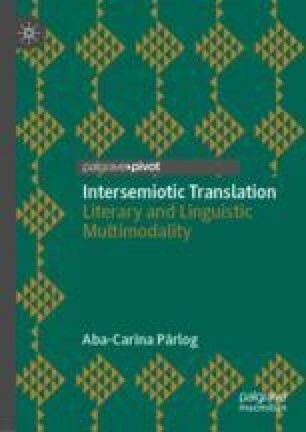 This chapter focuses on the facets of intersemiotic translation viewed as a prism. Whether it is employed while decoding or re-encoding a message mentally, or while decoding or re-encoding it in speech or in writing, one must think of the impact of the communicative exchange. This part of the book also consists of an analysis of Roland Posner’s fundamental semiotic types, i.e. the signal, the indicator, the expression and the gesture. Communication relies on sign or sign set correspondences whose slight changes generally mirror cultural issues. This chapter mostly addresses students and persons new to the field who are unaware of the translational links that underlie the process of communication whatever form it may take.